Controversial agricultural giant Monsanto attempted to ‘kill’ research on Roundup weed killer, which is suspected of causing cancer, leaked documents show. The company also reportedly influenced EPA officials to conceal information about the cancer risks. A trove of documents was released by LA-based plaintiff firm Baum, Hedlund, Aristei & Goldman earlier in August. The company is representing people who claimed that they or their relatives got cancer due to Monsanto products. In particular, the case concerns the notorious Roundup, a non-selective herbicide which kills weeds that compete with agricultural crops. Its active ingredient is called glyphosate. The documents, mostly emails between Monsanto executives and researchers working for or connected with the US Environmental Protection Agency (EPA), are dated between 1999 and 2016. “For example you cannot say that Roundup is not a carcinogen ... we have not done the necessary testing on the formulation to make that statement,” she wrote. In another set of emails Monsanto Executive William Heydens edits a manuscript on the effects of Roundup from an expert consultant. The majority of the edits concern theories and speculation of possible links between glyphosate and cancer. “This is a look behind the curtain,” attorney Brent Wisner said. “This show[s] that Monsanto has deliberately been stopping studies that look bad for them, ghostwriting literature and engaging in a whole host of corporate malfeasance. “They [Monsanto] have been telling everybody that these products are safe because regulators have said they are safe, but it turns out that Monsanto has been in bed with US regulators while misleading European regulators,” he added. Monsanto said that the plaintiffs’ legal team committed a “flagrant violation” of confidentiality by releasing the trove, and has asked the court to dismiss the lawsuit as a result. The corporation also says that the documents misrepresent its modus operandi. "What has happened here certainly has the potential to be called illegal," said renowned lawyer and RT America host Mike Papantonio. "Unfortunately, the DOJ hasn't it upon itself to go after a criminal investigation with this. But understand this - here you have a company that is actually influencing the very regulatory agency that's supposed to be looking out for the safety of the American public." Whatever the Monsanto response, Papantonio believes that the leak will make the case against the company stronger. "This is almost the tip of the iceberg. What happens now is that we are able to go around and ask questions of doctors and scientists and journalists who were affected, or maybe even participated in this cover-up,"
The EPA’s Report of the Cancer Assessment Review Committee on glyphosate from 2015 addressed the cancer risks of the substance in a neutral way. The committee concluded that the substance has no connection with many types of tumors, and cautiously said that “there is conflicting evidence” that glyphosate causes non-Hodgkin Lymphoma (NHL), a type of blood cancer. NHL is a primary concern for glyphosate as Baum, Hedlund, Aristei & Goldman plaintiffs claim that they got this exact type of cancer after exposure to the substance. According to the group, more than 900 people across the US who have been diagnosed with NHL are suing Monsanto. The biotech corporation, which on its website claims to help farmers “grow food more sustainably,” has been at the center of scandals in recent years. 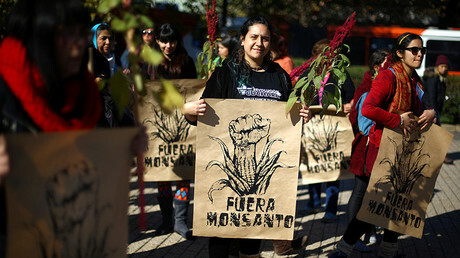 There have been scores of anti-Monsanto petitions and stories of people who claimed to have been affected by the company’s products. The corporate giant has been also at the center of reports claiming it has influence with the US government and, thus, avoids lawsuits. The anger with the corporation went global with the start of the March Against Monsanto movement in 2013. 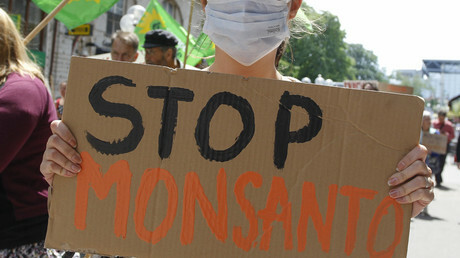 The initiative launched rallies against ‘Monsanto poison’ across the globe, with thousands of people joining. “Keep GMOs out of your genes,” says the slogan of the movement, whose Facebook page has gathered 1.4 million likes so far. Europe appears to be “a force of resistance” against the corporation. In June, more than 1 million people signed a petition calling to ban glyphosate, according to the European Citizens Initiative, which launched the campaign. The document was submitted to 28 national European authorities. 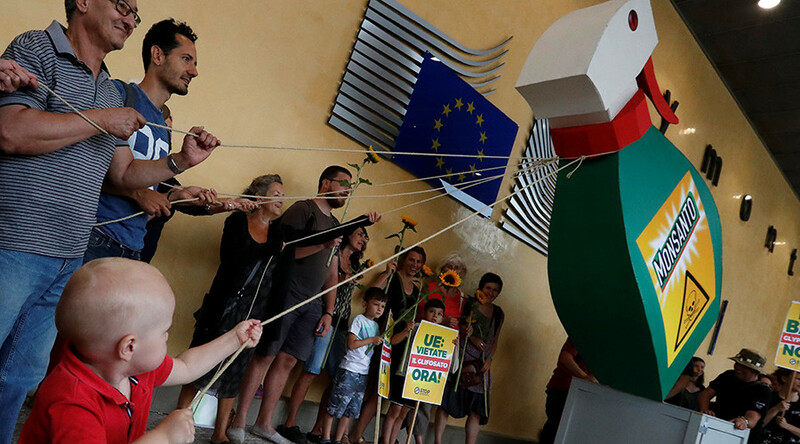 "European citizens aren’t fooled by the pesticide industry’s lobbying efforts or the faulty science it’s peddling,” David Schwartz, ECI coordinator at WeMove.EU, said. 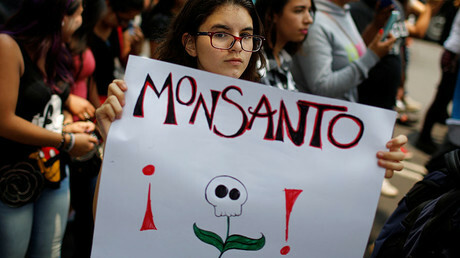 The rising criticism of Monsanto also resulted in a 2014 documentary, claiming that the company has contributed to over 290,000 suicides by Indian farmers over the last 20 years. Farmers were allegedly forced to grow GM cotton instead of traditional crops, agricultural scientist Dr. G. V. Ramanjaneyulu, of the Center For Sustainable Agriculture, told a team from RT’s documentary channel, RTD, which traveled to India to learn about the issue. The seeds were so expensive and demanded so much more maintenance that farmers often went bankrupt and killed themselves. One of the recent scandals around Monsanto involves its alleged hiring, through third parties, of an army of internet trolls to counter negative comments. These trolls were reportedly tasked with citing positive “ghost-written” pseudo-scientific reports which downplay the potential risks of Monsanto products, including Roundup. Monsanto even reportedly targeted all online materials and even social media comments that indicate potential dangers of its products, according to several plaintiffs’ lawsuits. One of Monsanto’s most well-known attempts to seemingly hush-up “wrong” science concerns was in March 2015, when the WHO’s International Agency for Research on Cancer (IARC) released a report which classified glyphosate as a possible carcinogen. Monsanto promptly said that it “strongly disagrees with IARC’s classification of glyphosate” and demanded it be retracted with its “erroneous classification”. No scientific report has definitively concluded that Roundup, which has been on the market since 1974, causes cancer. This fact is especially noted in every Monsanto press release on the issue. The statements are usually supported by a pile of scientific articles claiming the harmless effects of glyphosate. One of the positive facts around the herbicide is that it helps to tackle climate change, the company claims.